VCs and startups that are dedicated to ushering in a new era of disruptive technology are expected to be forward thinking. As the world grows more and more complex, we need visionaries more than ever who can see the path forward, and technologies that can help us along the way. But as a recent piece in the New York Times by Steve Lohr reminds us, today there are many challenges to implementing the technology of tomorrow. While analysts and experts look forward to the many ways artificial intelligence, cloud computing, IoT, big data analytics, and mobile health will grow the economy and improve our lives, the realities on the ground today are something quite different. Despite hundreds of billions of dollars in annual technology spending, according to Lohr’s article the economic benefits of the latest technologies have so far been underwhelming. Lohr hones in on healthcare specifically, and points out how government efforts to bring healthcare into the digital age have not yet yielded major rewards. So far technologies like electronic health records have not appeared to make workflows for doctors and staffers more efficient. But that may be because of the inherent lag between when a new technology arrives and when people and institutions learn to use it effectively. It may also be because the truly transformative technologies have not yet arrived. Experts say that EHRs are only the first step in a wave of innovation that will curb costs and improve care. 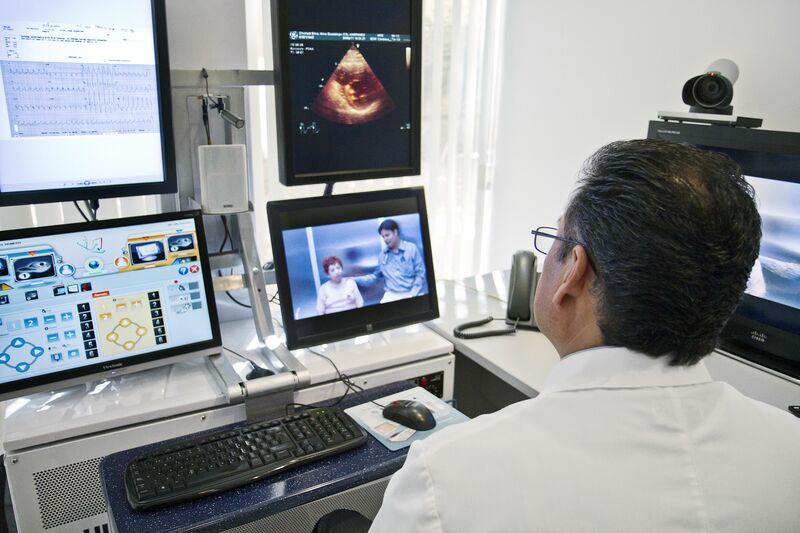 EHRs will lay the groundwork for a host of other IT and operational innovations. As patient data becomes more consolidated, artificial intelligence will play a bigger role in big data analytics to improve everything from patient inflows to cancer diagnosis to eliminating prescription errors. Already numerous studies are finding that AI can outperform doctors at a number of tasks. In a recent Motherboard story, the AI in a health app designed by Babylon was able to outperform doctors in triage assessments. Another study found machine learning was able to outperform humans in cancer surveillance. Although these technologies have yet to become part of the day-to-day operations at your local healthcare clinic, and doctors are currently struggling to keep up with the digital age, it’s only a matter of time and hard work until we get there.